American journalist, Jennifer Lahmers is currently working as a news reporter for the Fox 5 WNYW. Additionally, she hosts Fox 5 Special: Studio 5 on Fox 5. She grabs a huge fan following from her dedication and hard work. She began her career in journalism as an anchor. she has also covered some of the big stories in her journalism career. The media personality was married to Jamie Bosworth from 2011-2014. Jennifer Lahmers was born Jennifer Lynn Lahmers on February 19, 1984, in Ohio, Tuscarawas, the United States under the birth sign Pisces. She is the daughter of William Patrick Lahmers and Cathy Lahmers Scolari. Her parents raised her in Dover. When Lahmers was 8, she used to play and record a newscast with her friends. They also named their childhood play network as WJETS. Her interest led her to pursue her career in broadcasting journalism. Lamar attended the Dover High School in 2002. After completing her high school, she moved to Ohio University E.W. Scripps School of Journalism in Athens, where she graduated with a bachelor’s degree. Moving to her professional career, Jennifer Lahmers began her career as a weekend news anchor and reporter in Jackson, Tennessee for WBBJ-TV. Lahmers has been active in the fight against domestic violence since the passing of her best friend and Alice Morrin to a murder-suicide in 2009. Jennifer Lahmers has covered many exciting stories that stand out to her. When she was a reporter in Jackson, Tennessee, she went on an early morning drug bust with the DEA. She was a one-man-band reporter and followed a drug workforce that morning while it broke down. After that, Lahmers moved to Fox 5 as a general assignment reporter in August 2014. Previously, she worked as a reporter and weekend anchor for Fox CT, where Jennifer won many Associated Press award for her investigation work. She also penned a weekly op-ed the Hartford Courant, Hartford Magazine, and New Heaven Living. Another popular employee from the Fox 5 WNYW, Ernie Anastos, Dari Alexander, Rosanna Scotto, Lori Stokes, and Audrey Puente. 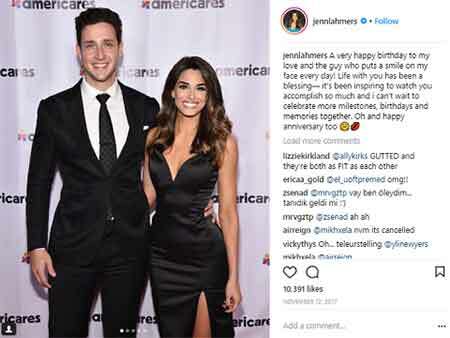 Jennifer Lahmers is one of the successful anchors in America has an estimated net worth not less than $1 million, however, the amount is still under review. She is earning an impressive salary from her journalism career. According to some online sources, a Fox News reporter earns an average salary that ranges from $79,078 to $85,992. Jennifer Lahmers was married to her boyfriend turned husband, Jamie Bosworth on 2 July 2011 in a lavish wedding ceremony. Before getting married, the couple dated for two years and got engaged on 18th January 2011. The couple was happy together until some months before their third anniversary. The pair got a divorce for some undisclosed reasons. 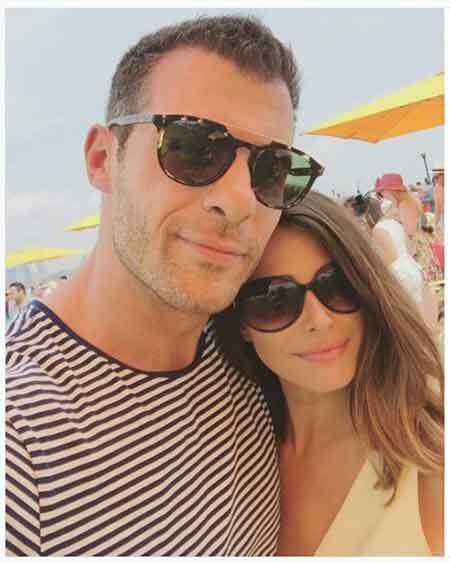 After the separation, Lahmerswas in a relationship with a New York-based medical doctor, Mikhail Varshvski as the couple is spotted at several places. The rumor swirled after they were spotted celebrating Christmas and New York together. They also posted several pictures on their social media. Later, they broke up for some unrevealed reasons. Moreover, she was also linked to Fox News personnel, Michael Craig after they posted several cozy pictures together. Lahmers, however, has not confirmed anything. So, as of 2018, she might be possibly single a she is not dating anyone officially. She is close to her family. Lahmers credits her parents for her success and achieving her dreams. Talking about her online presence, Lahmers has over 49K followers as of November 2018. Literally the only cute thing about Thursday’s snowstorm. Lahmers is also a dog person has a pet dog named Bear Bear. He often posts beautiful pictures with her dog on her Instagram. Height = Jennifer Lahmers stands at the height of 5 feet 8 inches.